Happy New Year!! We would like to start 2014 with a sketch challenge for all of you. 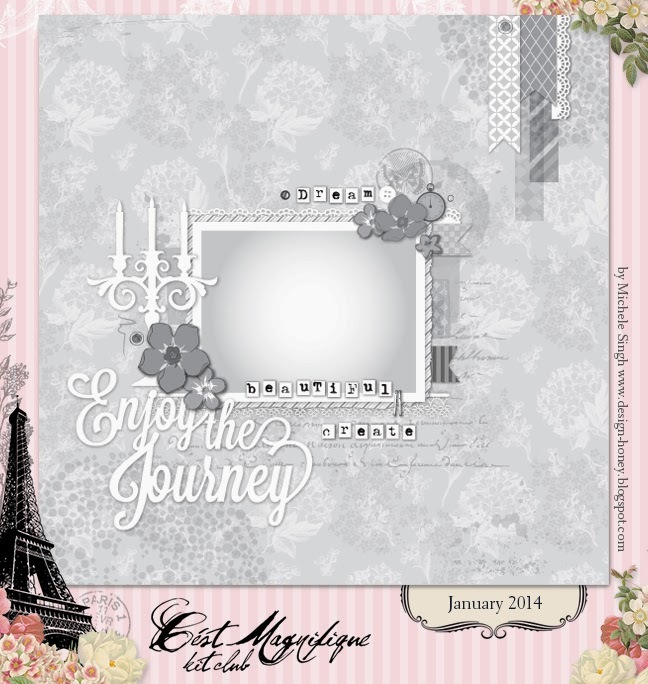 Our sketch designer, Michele Singh has created a beautiful sketch for us to use! Take a look at how the members of our Design Team used the this sketch, along with our January kit, "The Height of Chic". We hope our design team has inspired you to use our sketch and create a layout. We would love to see how YOU use our sketch. The sketch challenge is open to everyone and you may use any supplies you have. You do not need to be a member of our kit club to participate. Feel free to flip or rotate the sketch, but we do want to look at your layout and tell that you used the sketch. We will be awarding two prizes. The winners will be selected by a random draw. 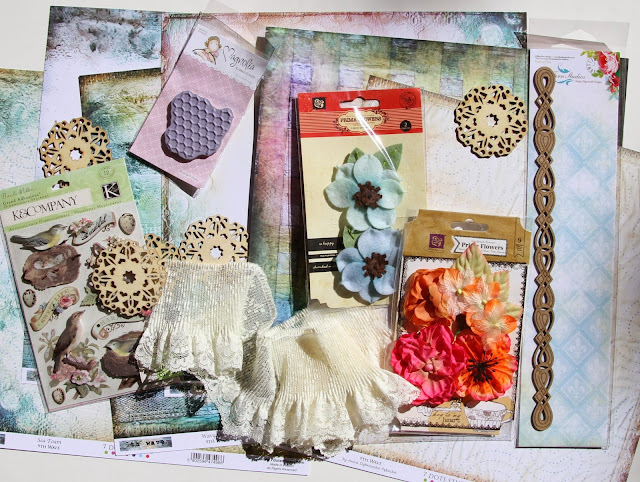 The first prize is this collection of paper, chipboard, and embellishments. The winner of the prize package will also be able to shop in the C'est Magnifique Store, and have their purchases sent with the prize package, so that means you won't have to pay for shipping. You have the entire month of January to submit your layout. Deadline for entering the sketch challenge is midnight, January 31, 2014 (US time). Have fun with the sketch. We can't wait to see how you use it! wow Love this sketch and the layouts are fabulous. Cant wait to play! Beautiful layouts. I was wondering if you ever do anything other than scapbooking layouts. 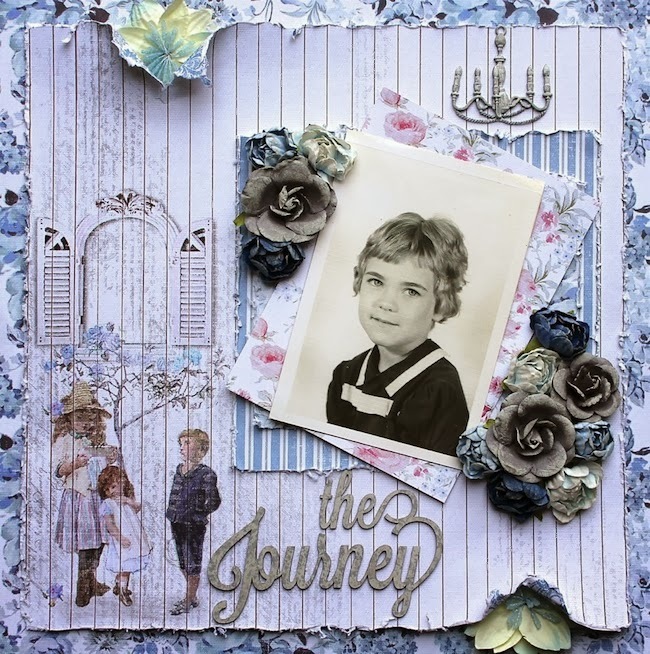 I am joining your club, and would love to participate in the drawings, but I don't make scrapbooking pages, but rather am more into mixed media, card making and altered items. Do you allow or have drawings for one of those media types? 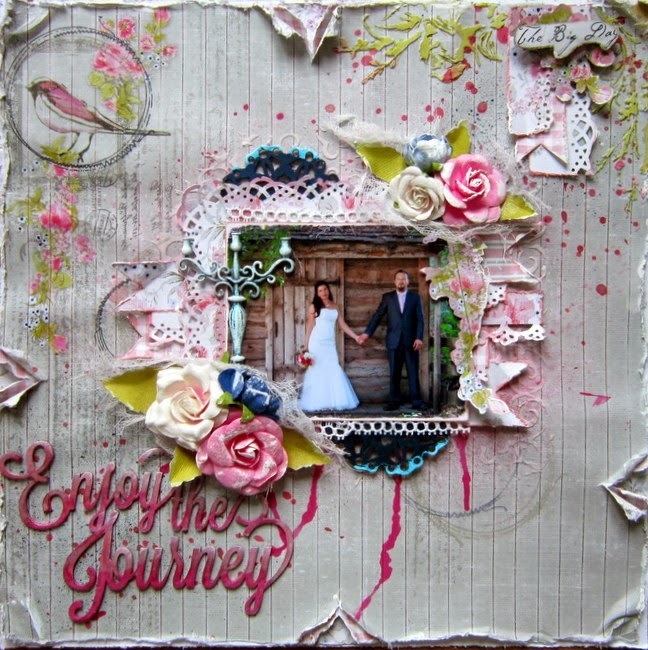 Erin, we would love to see some mixed media projects in the sketch challenge! I say "GO FOR IT"!! Gorgeous sketch and layouts too! Kisses! 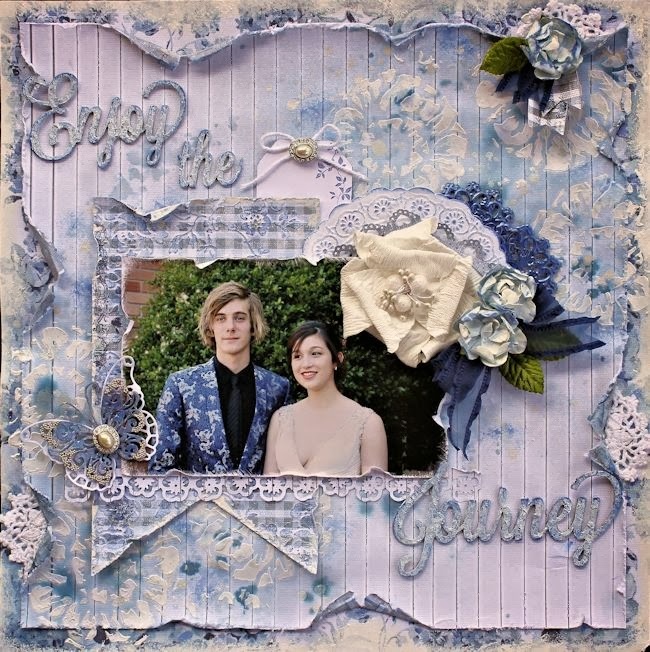 February Mixed Media Kit + Video Tutorial! Our December Sketch Challenge Winners!